I was lucky enough to conduct a brand new orchestra set up in Lewisham over half term. The Lewisham Junior Orchestra aims to provide access to orchestral playing opportunities for primary and secondary pupils in the borough, coming together during the school holidays. On this course, pupils played Tim Steiner’s PLAY, as well as Grieg’s In the Hall of the Mountain King (one of the BBC’s ‘Ten Pieces’). Read full coverage of the orchestra’s launch in the local press here. It has been a busy few months for the Virtuosi GUS band. 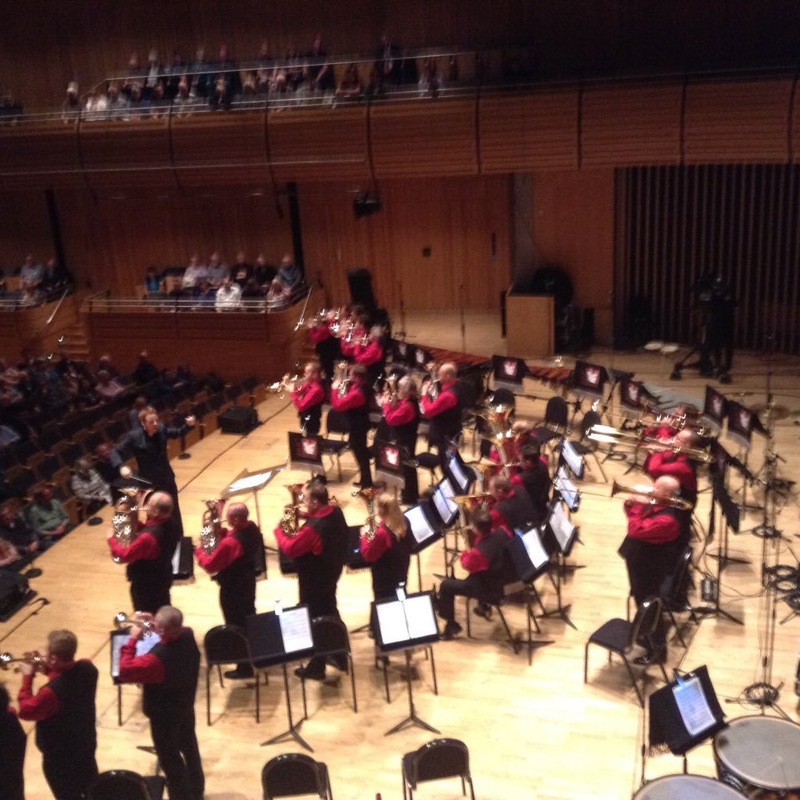 Following the band’s appearance at the Royal Albert Hall for the National Finals, it was straight on to preparing for an appearance at Brass in Concert at the Sage Gateshead on Sunday 15 November. 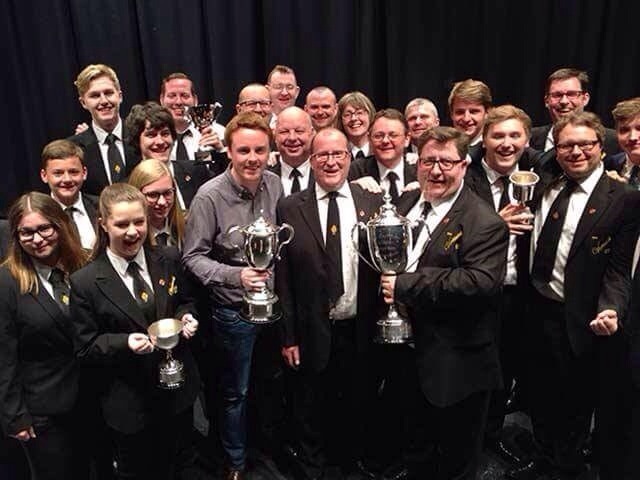 The band played a New York themed programme, narrated by actor Dale Gerrard, and including music by Bramwell Tovey, Peter Graham, Nigel Hess, Eric Whitacre and concluding with John Mackey’s brilliant ‘Asphalt Cocktail’ earning the band a very respectable 4th place from the adjudicators. 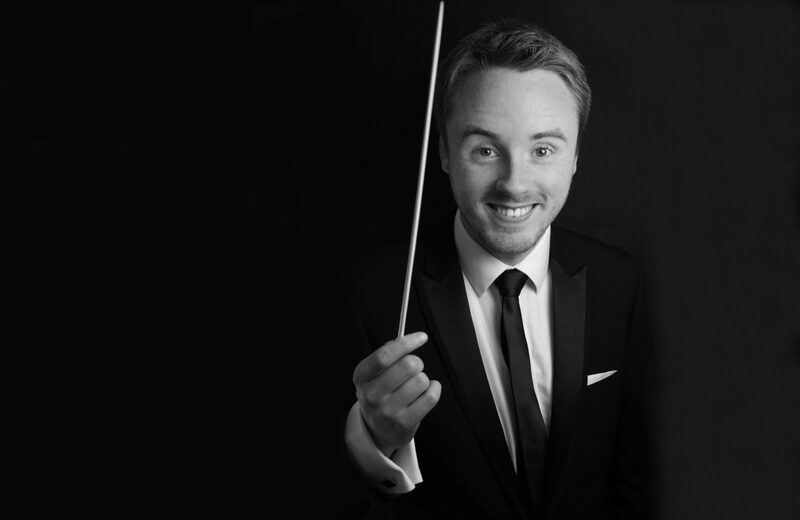 The band will now go on to prepare for its Christmas Concerts in Kettering on 12th December, where Dale will once again feature alongside the band in narrating the story of Dickens’ Christmas Carol. 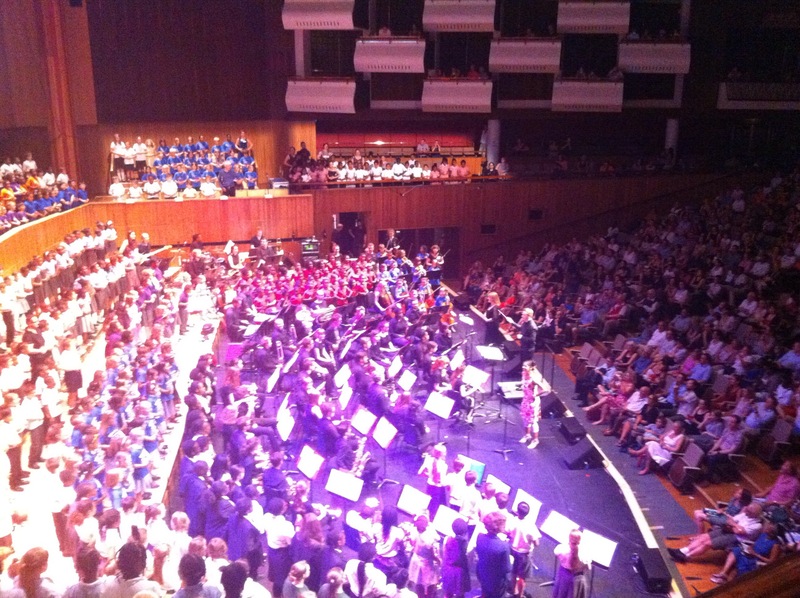 On 1st July I was delighted to lead over 1000 young musicians from Lewisham at the Royal Festival Hall. 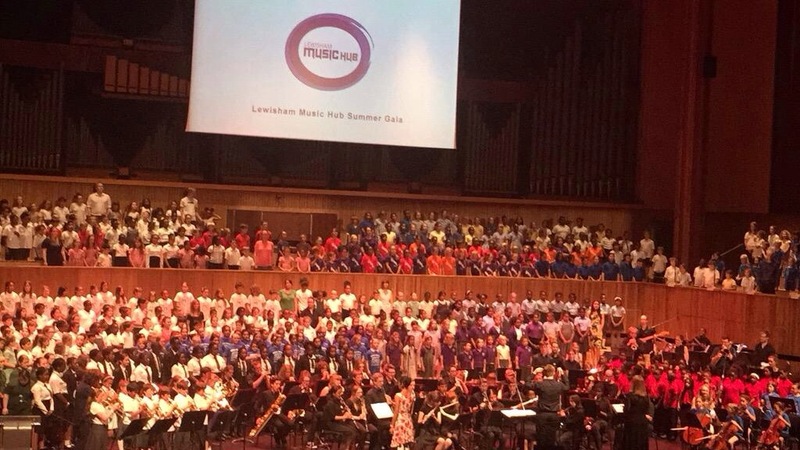 Composer Chris Wilcox’s two new works for Wind band and massed choirs (‘My Town’ and ‘What If’) inspired by the words and stories of children from local schools, provided a rousing finale to the Lewisham Music Hub’s first summer gala.